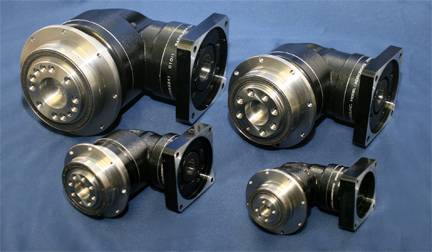 Motion Control – Compact Low Backlash Helical ADR Series Gearheads! Holbrook, NY — Motion Control – Gear Heads — Apex Dynamics releases the new Compact Precision Helical ADR series which is designed with oversized precision taper roller bearing support for increased radial and axial loading capacity. Superior positioning accuracy resulting from low backlash and the highest torsional rigidity is combined into the newest of the Apex right angles. The True Helical gear design increases tooth-to-tooth contact ratio by over 33% vs. the standard spur gearing geometry. The Helix angle is optimized and produces smooth and quiet operation at extreme speeds. (Less than 2 arc-min, less than 61 dB, up to 10,000 rpms input). The Most Productive Helical Planetary Gearhead Manufacturer in the World! « Motion Control – High Precision Motorized Goniometer Stage from OES!